Don’t be fooled by a smooth talker. Buying a car from a dealership is a really exciting experience. You walk on to the lot and hundreds of shiny car options are immediately available for you to look at, touch and (possibly) sit in! But sometimes, the prospect of buying a new car can take attention away from potential dealership misrepresentation techniques. Misrepresentation means that the dealership or private party shows or sells you a car without disclosing all of the information about the car or attempts to hide a car’s history to make it appear more favorable to a customer. In New Mexico, proving that a dealership misrepresented the car can have serious legal repercussions, such as being sued for injuries sustained during an accident caused by a pre-existing mechanical issue. Getting the Kelley Blue Book (KBB) value. 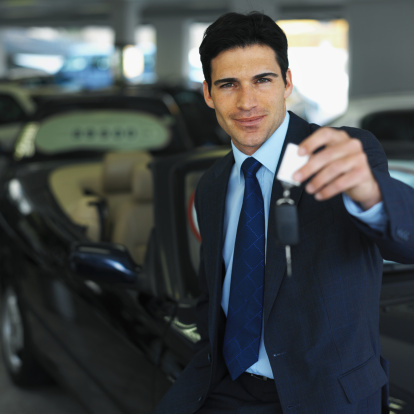 A salesman might try to claim the car they are showing you is worth more than it actually is. Having the KBB value of the car you’re looking at will help you pay within its value. Knowing the car’s inspection history. Do not trust someone’s word when it comes to inspection history. If they claim to have had the car inspected, ask to be shown documentation to prove it. Ask about any repairs that were made. Inspections show up on a CARFAX report, but not if service to repair an issue was refused. Having a mechanic look at it. Use a mechanic you trust to look over the car from front to back to ensure the car is in the condition your salesperson said it was. Get any work proposed by the mechanic in writing to show to your salesperson if the car is in poorer condition than stated. Getting the CARFAX report. You can see a good snapshot of the vehicle’s history, maintenance and other details that are important to know before a sale. If the dealership or private seller you are thinking about buying from does not have the CARFAX available, you can get it at any local MVD Express office. Stop in today or reach us by phone to obtain your vehicle’s CARFAX! In part two of “Protecting Yourself from Auto Dealership Misrepresentation,” we’ll discuss what happens if you already own a car that you suspect was misrepresented. Check back for more soon!